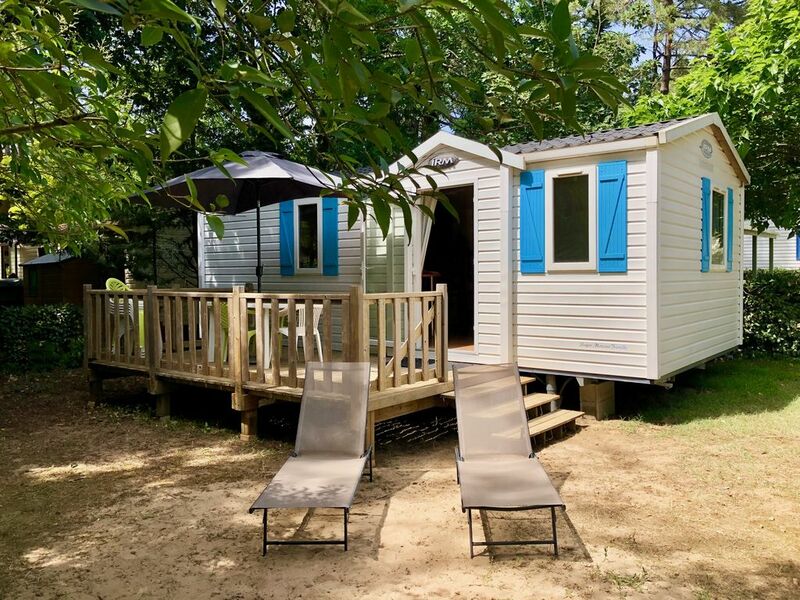 Mobile home sleeps 6 with a living area of ​​27 m2 located in a pine forest of 100,000 m2 on the campsite 5 * Les Biches in Saint-Hilaire-de-Riez. The mobile home is equipped with a terrace of 12 m². - 1 bathroom with shower, washbasin and storage unit. Aquatic area: Indoor swimming pool, outdoor pools, water slides and paddling pool. Around the campsite: Vendée beach, Ile D'Yeu, Ile de Noirmoutier, the salt marshes, Le Puy du Fou. For more information or additional photos, do not hesitate to contact me.